Sorry if this isn't the right place.. but I'm having problems with set pieces. I have made several tactics and saved them, but every time I try to load one of them, nothing happens and it just reverts to the standard set up. Anyone else having this issue? 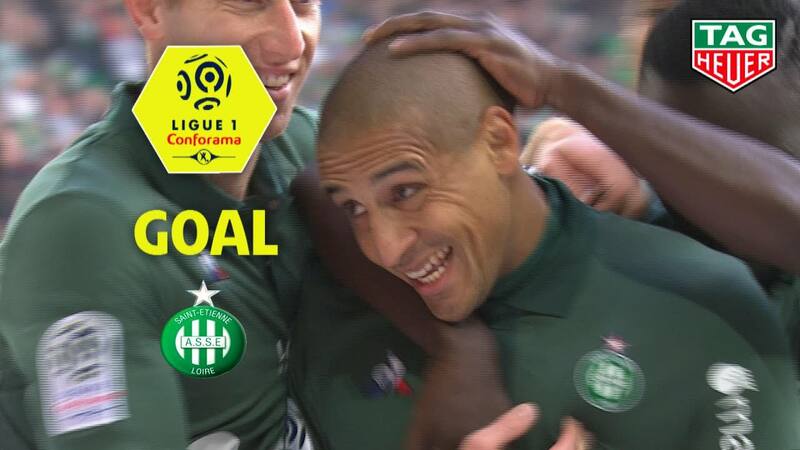 Good luck with this, as many have said its good to see a Ligue 1 story without being PSG/Monaco. Thanks, I appreciate it. I visit Brittany quite a lot so I've always felt an affiliation with the club, but with their excellent youth set up they're also a lot of fun to play. 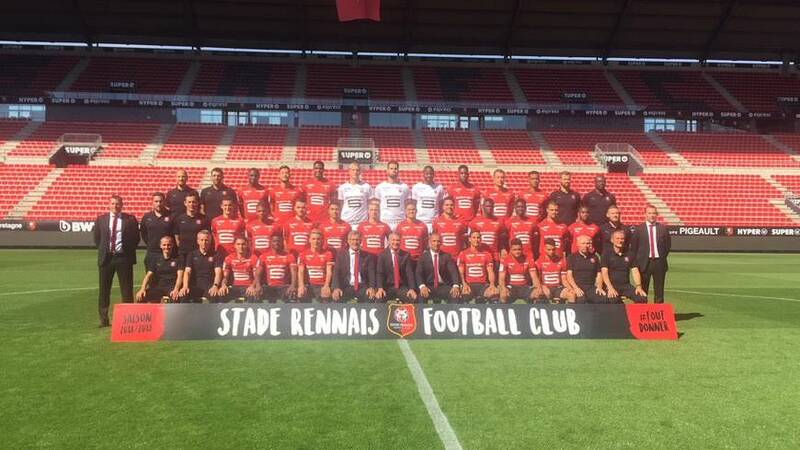 A tough start to your career with Rennais but despite all that you're only three points off the top half the table so you're not too far off your minimum expectation. You got pitted against a strong Europa league group especially with Arsenal and Real Betis who have great squads but what a fantastic result against Arsenal and also managing to sneak a win past Lille as well. Hopefully those couple of great wins will give your team the confidence to push on and climb the table. I'm shocked with how badly PSG are doing but I'm sure they'll change their fortunes around with the quality they have. Yep, it's been a frustrating start to the season but I had a feeling it might be that way. A lot of the players are either new, quite young or on loan so I had kind of anticipated a bumpy start despite pre-season. If we can keep the ship relatively steady until Christmas I anticipate a strong finish. Your way of telling your career is very nice, follow you with pleasure! Thanks, really appreciate it. I think it is already looking like making the European spots will be quite difficult, but that is why I am aiming for a run in either of the cups to get qualification as I am also keen to advance in the Europa League. I tend to be quite good in cup competitions (though I shouldn't speak too soon ). If you've any questions/suggestions relating to info I present (or not, as the case may be) and tactics etc, then please feel free! We're heading into the October international break, which seems to be as good a time as any to catch up. After a really strong pre-season, we have hit the rocks slightly. Here's a month by month break down of the results. A very mixed start, with a win, a draw and a loss. We started the campaign off with a really disappointing defeat against a poor Toulouse side, who bagged their winner in the 96th minute after we missed a host of late chances. 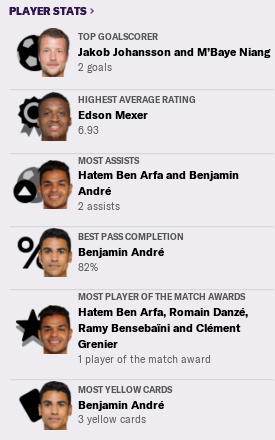 Fortunately the team picked itself up for the next game where two excellent assists from Hatem Ben Arfa helped us to see off Amiens. We took that confidence into the PSG game where an excellent defensive performance saw us grab a point at the Parc des Princes - no mean feat. Now things are starting to get a bit messier. 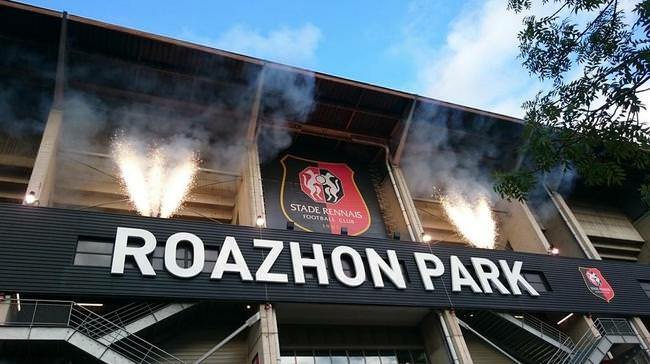 The month began with a disappointing draw against Bordeaux. Disappointing because we were by far the better side against the in-form side in the division and conceded a late worldie 30-yard free-kick. The performance itself was good. Then came the international break, and that really seemed to throw us off course. The defeat against a strong Monaco side was not unexpected but we didn't help ourselves by gifting them a penalty in the first ten minutes, after which we were always going to be on the back foot. That Thursday we then travelled to Denmark for the Europa League. We have been pitted against Brondby, Real Betis and Arsenal so I naively assumed this would be one of the easier fixtures. It wasn't to be. We were poor throughout and to make matters worse conceded from a set piece. The result leaves us needing to pick up points against Arsenal and Real Betis if we want to progress. All of that was not good preparation for a local derby, but the lads came up with a really impressive performance. We set up aggressively and were rewarded with an excellent offensive and defensive display, clearly our best of the season so far. But the games kept coming thick and fast - one every three or four days and we couldn't keep up the level of performance. We naively kept the aggressive approach away to top-of-the-league Saint Etienne and were duly punished - our former player Whabi Khazri sticking two past us and giving us the run around. This fixture was a lesson I am keen to remember. 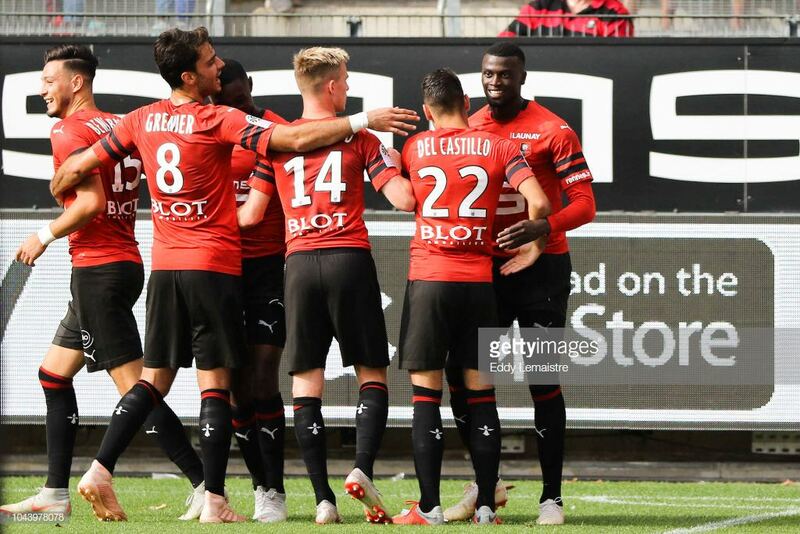 A few days later we were up against another derby - in form Guingamp. We were by far the better team and led for an hour before seemingly running out of gas. We were caught on the break for the first before they scored a header from a corner deep into injury time to compound our woes..
No surprises then when the vultures began circling. And with the games coming thick and fast there was no time for a breather. Up next, we faced Arsenal at home..
An excellent tactical performance as we nullified their threat down the flanks and broke expertly time and again through the middle. An excellent retort to our critics, and a very welcome respite. The result means that everything remains open in the Europa League group and gives us confidence going into the remaining games. Our final result before the October international break saw us pull off an impressive away victory against Lille. They are not in any good form, but then neither are we currently so it was a massive match for both teams. We were by far the better team throughout, however, and showed the character we will need to continue the charge up the table. The table makes for some very interesting reading. PSG sit below mid-table (albeit with a game in hand), and Bordeaux, who we deserved to beat, sit atop the table with a two point cushion. It means that the league is very open and with a few good performances over the next couple of months we could be right back in the thick of things. All in all, a challenging start to FM19 life, but at least as can be seen above, I retain the support of the players. The board are even pleased with me so far, so it can't all be bad. The rest of this month sees us face some less daunting opponents, though that is of course no guarantee for an improvement.. With most of our injury problems put to one side for now, I anticipate a push up the table. Hopefully we can also pull up a few more trees in the Europa League! Next time: The second quarter and the winter break..
And so the preparations are complete, and we're ready to head into the season proper. All in all I am delighted with the start that we have made, and we will start off the back of three successive victories. 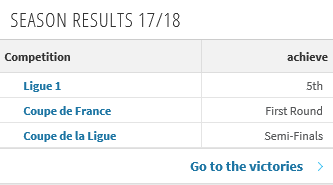 We returned back to Brittany for some really tough fixtures and should have come out with 4 victories after playing 70 minutes against 10 of Tottenham's reserve players. I therefore take more pleasure from the Napoli result. As you can see, I have continued to adjust my more defensive tactics. 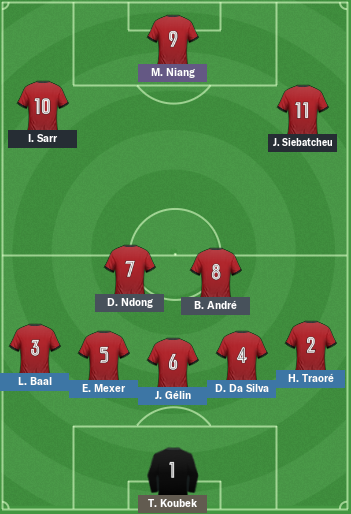 In terms of the playing style it remains pretty much the same, but I dropped the centre-forward into an attacking midfield role, and it worked a treat. The stats show that we avoided possession but were lethal on the counter-attack, constantly creating by far the more dangerous chances. Another element of our tactics shone through in pre-season - deadliness from set pieces. We have a number of very good set-piece takers from both sides and having spent a bit of time playing around with the movement of the players, the hard work appears to be paying off. Hopefully this trend continues throughout the season. For those that are interested, I got some excellent ideas from Stuart Reid's set-piece blog (https://wakelet.com/wake/cd927ed5-4c38-4091-b428-41dd6d7e7b2a). In relation to set-pieces, we made two final signings over the course of the last two weeks. The first is the Nigerian international (59 caps) Elderson Echiejile. The guy has decent long throws but most importantly, the necessary technique as well. On the other side, our full-back Hamary Traore also has decent long throw stats (15), and we are developing his technique right now. I ummed and ahhed about the final transfer that I made, but in the end decided to bite the bullet. We have a long campaign ahead of us and if we want to be competitive on all fronts then we need a decent amount of quality. So please welcome Josip Brekalo on loan from Wolfsburg. Josip brings heaps of quality to the side and gives us more options in every attacking position. I hope he will be a worthwhile addition to the squad. My main aims over the course of pre-season were to get the team up to scratch fitness-wise (check), ensure that the side is defensively solid going into the campaign (check) and also to blend in all of the new signings and young players.. According to my assistant manager, that goal has also been achieved. So let the season begin! Nice to see a Ligue 1 series! Not many French series about at the moment so I'm looking forward to it! Cheers, man! Yeah, it's a fun little league, especially if you like to develop players like I do. The challenge is a lot bigger than it used to be with PSG but I'm mostly using this save to get used to all of the new mechanics etc. So we'll see how it goes! 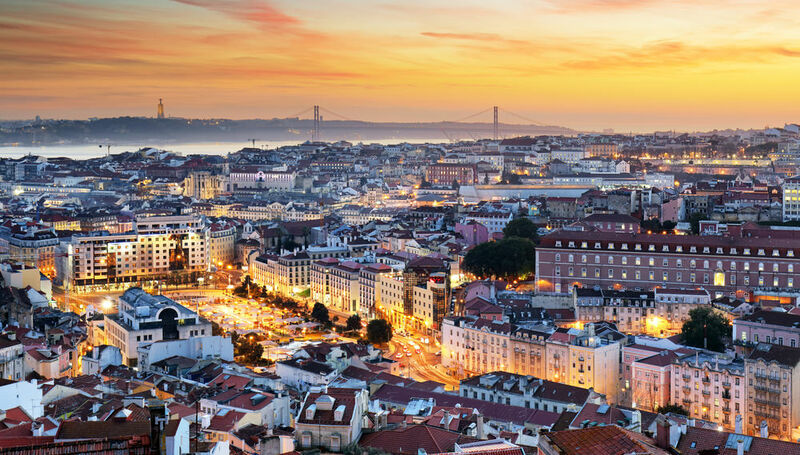 The sun sets on Lisbon as we head back to Brittany off the back of an excellent pre-season training camp in Portugal, with the squad in high spirits and blending together nicely. We came up against some solid opponents and put in some particularly impressive defensive performances. The draw against Sporting was particularly satisfying as we tried out a defensive block to stifle their inside forwards, which worked a treat (minus a sloppy goal in the opening quarter of the game). Two of our front three joined the camp two days prior to the match after a successful World Cup campaign, and are bound to be vital to any counter-attacking plans we have. Siebatcheu started out wide right as a Target man, and held up the ball expertly against their full-back, occupying the space to ensure their full-back couldn't double up with their IF to threaten our back line. He held the ball up for our playmaker Andre who had options vertically or square with Sarr providing the width on the left. It was one such counter-attack that led to the equaliser with Sarr speeding into space wide left and crossing for Niang to tuck in. Those with a keen eye (and not a little prior knowledge) will have spotted a certain Dider Ndong in the starting lineup. He is one of three new faces to join the side over the summer. 21 year old Kawaya is a Belgian winger with pace to burn, but has a few things he needs to work on. If we can get him up to speed in the reserves then we may look to extend his one year contract. Meanwhile, my new DoF brought in the young Massucco from Bourg en Bresse for a few hundred grand. He looks like he could be a decent prospect. 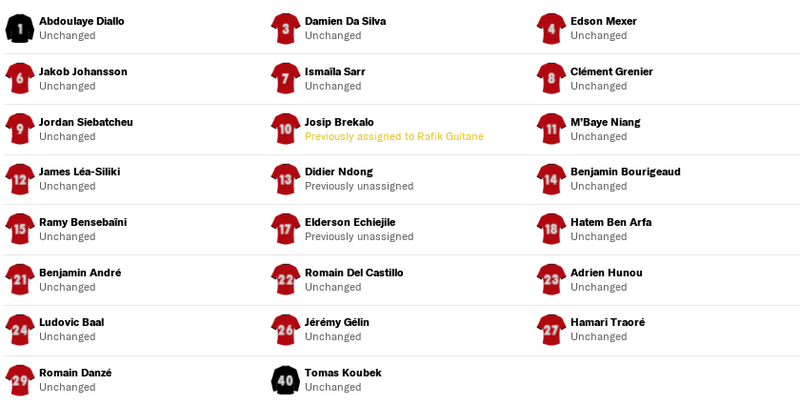 We had 6 players on trial and offered contracts to all but one, but in the end only Ndong and Kawaya made the move. Kaylen Hinds decided to move to Bordeaux, Papy Djilobodji moved to Nice and Assanne Gnoukouri joined Lille on free transfers. Nevertheless I am pretty happy with the squad as it is going into the campaign. Next time: Tottenham and Napoli visit Raozhon Park..
...the next thing I did was to cancel all of the previous pre-season friendlies, and got to work making my own schedule. I gave the team two weeks of light training until the beginning of July and the opening of the transfer window, allowing me time to assess the players. I decided to keep the majority of the staff, but made 3 major additions. Kevin O'Connor was the first to sign on the dotted line. He buys into my philosophy, brings some excellent mental attributes and will primarily be in charge of ensuring we are defensively compact. He comes very highly rated from the impressive Brentford coaching set-up and his celtic links will make him very welcome at Raozhon! Thomas Helveg also joins the staff. Curiously without a job for the last three years, the ex-Denmark international is an all-rounder and I am hopeful that his professionalism will rub off on the younger players. Franco Torchia is the final major staff appointment, joining from Tours FC. He will take up the responsibility of bringing in new young players into the Reserve set up, setting up scouting assignments and will be the face of the transfer department. As for pre-season, I took a close look at our options and narrowed it down to Austria, the Czech Republic and Portugal. Altitude training is always great, which is why I had put Austria and the Czech Republic on the shortlist. But in the end, the greater quality of opponents we could face in Portugal swung my decision. I'm pretty happy with the quality of opponents we will face this pre-season. 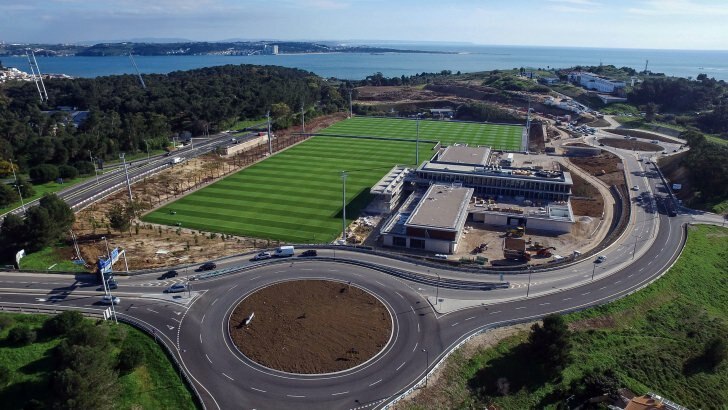 We will base ourselves at the Oieras training camp, home of the Portuguese national team, for two weeks. The fixtures will give us a close up look at two inspirational footballing set-ups in Benfica and Sporting - clubs we would do well to emulate. Once back home, we will host Napoli and Tottenham, two European clubs I also admire greatly, as well as facing Neims and visiting the Isle de France Clairefontaine complex for our final game of pre-season. In terms of the training, I have put a focus on fitness, defending and team-bonding exercises. 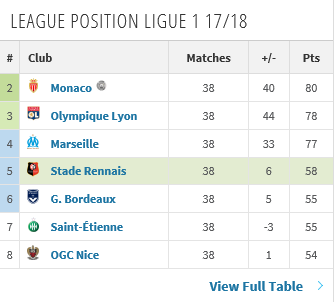 Good to have a Ligue 1 save posted on here, Rennes is an interesting club to start with. Best of luck! Thanks! Yeah it certainly suits my purposes. I haven't played with them for years (before the takeover of PSG) so the landscape of the league is very different now.. Winning the league will be a tough challenge. So having got my feet under the desk, it's time to look around the club and do some evaluating. 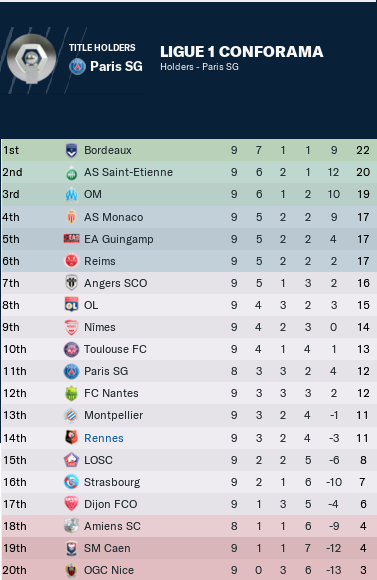 Rennes had an excellent season last year in real life, which is of course where I pick up from. As you can see, the club finished some way off of fourth, but qualifying for Europe for the first time in years was an excellent achievement. Of course I would like to break into that Champions League band at some point down the road, but baby steps.. Developing a philosophy will be a process. I personally value a vertical, high-pressing style of football with an emphasis on efficiency but also ball-possession, where possible. Finding a way to develop a team in line with this style will be a key aim of this save. So thanks for stopping by and enjoy the ride! I took over Vitesse Arnhem in July 2014, with the aim of establishing them as a powerhouse in the Dutch division and then taking my career from there. In order to do that, I would have to assess the strengths and weaknesses of my side, and our closest possible challengers. Having brought in Kwame Quansah on a free transfer, Lewis Baker on loan from Chelsea (with Josh McEachran heading back the other way) and Lucianno Becchio on loan from Norwich, I was confident that we had a squad capable of putting up a fight this season. With a limited budget, this was the best that was possible, but I am delighted at the number of options we have in a number of different positions. I want to make sure my side are capable of playing numerous systems and the versatility of the players available to me stands us in good stead. In my eyes, our closest challengers are PSV, Ajax and Feyenoord. Whether any surprise packages make it into that top band remains to be seen but these teams have the strongest facilities and the best players in the division. Competing with the likes of Memphis Depay, Georginio Wijnaldum and Giovanni Moreno will be a big ask. 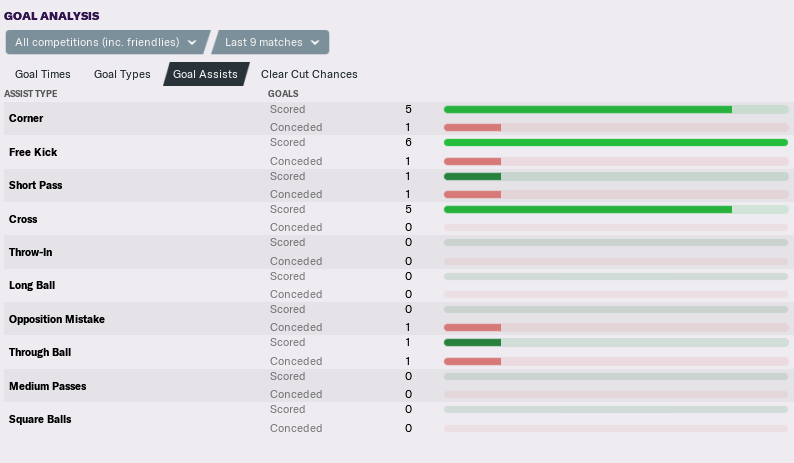 Pre-season hadn't gone particularly well. We played a number of useful sides such as Leicester and West Ham United but lost 3/5 and only managed to beat Real Union, a Second Division B2 Spanish side. Nonetheless, the first quarter of the season went very well indeed. A poor performance made me worry that our pre-season woes were going to translate into the season proper. The one pleasing aspect was that we were able to come from a goal behind and despite playing poorly, cling on to a point to start the campaign. Special note to Quansah who scored a nice finish on his debut. An excellent display of counter-attacking football. 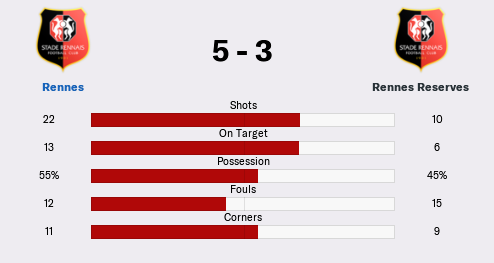 With confidence low and knowing Twente's attacking style of football would play into our hands, we sat back and hit them time and time again on the break. Our two strikers were particularly impressive at holding the ball up and showed incisive finishing. We were in control of this match throughout but nearly threw it away with a lack of concentration towards the end. Luciano Becchio grabbed another brace though to get us out of a tricky situation. The scoreline makes it look tighter than it was, but we cruised to victory here. Lewis Baker got us underway with a breathtaking free kick from all of 25 yards. He also set up the second and ran the show from the number 10 role. A bright performance from the Chelsea loanee. A solid performance against newly promoted Dordrecht. They posed us few problems and we caught them on two occasions on the counter-attack. Daouda was particularly impressive on the break as we held on for another excellent win. You are an absolute hero! Thank you very much. Hi anyone who is able! Could I get the above in cut out form, and also in icon size as well? Not sure if and how that is possible, but would really appreciate it if someone can help me! So, welcome to my career with German side Hamburg. As something of a Germanophile, I have decided to embark on a career with Hamburg. Hamburg have been successful in the past, notably the early 80s when a certain Kevin Keegan was at the club. However, they are currently in the midst of a barren era and it's my aim to change that. I haven't been given much of a transfer budget so far so I have very little scope to change things at the moment but it's more important for me to get to know the players I do have at my disposal. Rene joined the club this summer from Bayer Leverkusen where he made his name. He lost his place following injury last year but is still very highly regarded in Germany. I have high hopes that he can lead us to success. A young midfielder with a real eye for a pass, Badelj was spotted and brought to the club by sporting director Frank Arnesen. He looks a real talent and I hope I can utilise his skills. Son is a real exciting prospect, a little inconsistent but still raw at the moment. I hope that we can change that and make him one of the top players in the Bundesliga. Undoubtedly, he has the potential to be just that. A club legend. Rafa rejoined the club this summer from Tottenham Hotspur and big things are expected from him. Hopefully he can steer us into the Champions League. More updates as it happens. okay I'm in! Just started with TNS in Wales.